Have you thought about a career working with kids? 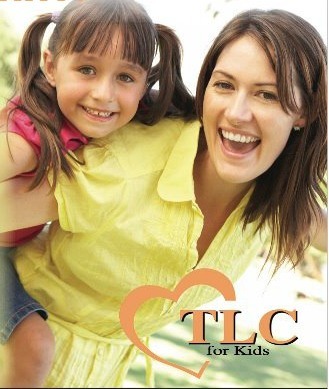 TLC for Kids is currently looking for full time nannies. TLC nannies spend their days nurturing and caring for kids. On nice days nannies go for walks and scavenger hunts, they ride bikes and go to the park. If a nanny spends her day inside they play! They play with play-doh, read books, build with Lego’s, play with dolls, make crafts and so much more! TLC full time nannies must have previous child care experience and be willing to commit for at a least a year. Right now we have full time jobs in Richmond Heights, Clayton and the Central West End. Visit our website to learn more about TLC for Kids and to view a list of the current job openings. The American Academy of Pediatrics suggests to keep these safety tips in mind when trick or treating this year. 1. If your costume comes with accessories like a sword, cane or stick make sure it’s not sharp and that your little one knows the proper way to carry it. 2. Try to plan costumes that are bright and reflective so that they can be seen in the dark. 3. Keep the costume off the ground so no one trips on it. 1. Send your children out with a full stomach. They will be less likely to eat all that sugar if they had a healthy dinner. 2. Make sure all the candy is wrapped and safe to eat. 3. Once home go through all the treats to make sure everything looks safe and is clear of any potential allergens. 1. Young children should always be accompanied by an adult . 2. If your older children are going out with friends plan the route they can go on and set a time that they need to be back home. 3. Only visit homes with a porch light turned on and never go inside the home. 4. Walk on well lit streets and use sidewalks whenever possible. If they street doesn’t have sidewalks walk along the edge of the street. Have fun trick or treating and don’t forget to share your photos with us! This week on Modern Family Gloria hires a ‘manny,” Andy. The “manny” explains that he is there for everyone, not just baby Joe. His hope is to make life happier and healthier for the whole family. More and more families are hiring male nannies. Here at TLC for Kids we have some families request a male nanny, especially, if the family has boys. A male nanny can be a great model for young men. Did you see the episode? Here is a clip of Andy meeting the rest of the family. What did you think? Would you be open to hiring a male nanny? Although Sudden Infant Death Syndrome (SIDS) cannot be prevented, there are things that parents and caregivers can to do reduce the risk of SIDS. One of the easiest ways to lower a baby’s risk of SIDS is to place him or her on their back to sleep, at nighttime and for naps. In 1992, the American Academy of Pediatrics (AAP) Task Force on Infant Sleep Position issued a statement recommending that infants be placed to their backs to sleep to reduce the risk of SIDS. A public awareness program, the Back to Sleep campaign was initiated by the National Institute of Child Health and Development (NICHD) in 1994 in conjunction with other health care organizations to promote education about this recommendation. Between 1992 and 1998, the number of SIDS deaths declined by 40 percent which most researchers, policymakers and SIDS professionals agree is a result of the change in sleep position. With continued research, SIDS experts now know that other factors such as exposure to smoke, sleeping on soft bedding and becoming overheated can increase an infant’s risk for SIDS. In 2005, the American Academy of Pediatrics (AAP) Task Force on Infant Sleep Position and SIDS issued revised recommendations to incorporate these new findings. NICHD subsequently revised their Back to Sleep educational materials to include the latest SIDS risk reduction measures. The California State SIDS Advisory Council in October 2006 unanimously endorsed the National Back to Sleep materials (i.e. : pamphlets, doorknob hangers and tear sheets) with the AAP Safe Sleep Top Ten messages for use in California. This endorsement was supported by the California Department of Public Health, Maternal, Child and Adolescent Health Division and California SIDS Program. Expectant families, parents, babysitters, grandparents, childcare providers and everyone who cares for a baby should know and follow the Safe Sleep Top Ten recommendations listed below. 1. Infants should be placed for sleep in a supine position (wholly on the back) for every sleep. Side sleeping is not as safe as supine sleeping and is not advised. 2. Use a firm sleep surface. Water beds, quilts, etc., should not be placed under an infant. A firm crib mattress covered by a sheet is the recommended sleeping surface. 3. Keep soft objects, toys and loose bedding out of the baby’s sleep area. 4. Do not smoke during pregnancy. Do not expose babies to second hand smoke after birth. 5. A separate, but proximate, sleeping environment is recommended. That is, room-sharing is to be encouraged, but not bed sharing. Babies brought to an adult bed for breastfeeding should be returned to their own sleep area when breastfeeding is finished. 6. Consider offering a pacifier during sleep. A pacifier should not be reinserted if it falls out after the infant is asleep. The pacifier should not be coated with sweet liquids and should be washed and replaced regularly. For breastfed infants, pacifier use should be delayed until one month of age to ensure breastfeeding is firmly established. 7. Avoid overheating. Over bundling should be avoided and the infant should not feel hot to the touch. 8. Avoid commercial devices marketed to decrease the risk of SIDS; such as wedges to maintain an infant’s position or “flow-through” mattresses designed to eliminate rebreathing. 9. Do not use home monitors as a strategy to reduce the risk of SIDS. It is common for kids, especially preschoolers, to suffer from separation anxiety. Separation anxiety is hard on both the child and the parents. Trust me I know, I have lived through it. Whether it was taking my children to school, a birthday party or a leaving them with a babysitter they cried. Leaving them was hard but leaving them when they are crying was even harder. Thankfully, I don’t have these problems anymore. Now when I leave them with a TLC babysitter they wave goodbye with a smile on their face and start playing. Here are some tips from Dr. Laura Horsch , a child psychologist in Menlo Park, California on helping your kids deal with separation anxiety. 1. It’s important for parents to keep their morning goodbyes consistent and short. “Lingering in response to crying or tantruming may inadvertently reinforce those behaviors,” explains Horsch. The rule of thumb in such situations is to strive for a short goodbye process. 2. “Parents are encouraged to prepare their children for what to expect, acknowledge their child’s feelings, engage their child in a goodbye ritual (for example, hug, wave, etc. ), and reassure their child that they will return,” she says. 3. And it’s crucial for parents to talk openly with their children about their feelings. Read a book about kids going off to school or Mommy going to work and then discuss with your child. And remind them that Mommy or Daddy will always come back to get them. To read the complete article and interview with Dr. Horsch click here. Are you on Pinterest? It’s a great website where you can save recipes, craft ideas, pictures, anything really. You make “boards” or categories of the things you are interested in and all your favorite websites will be at your fingertips. The TLC for Kids Pinterest page is full of information for TLC nannies and families. Some of our most popular boards are News About Nannies, Oh Baby, and Everybody Cooks. We also have boards for kids bases upon their age and for families with kids. Jessica has been busy updating the TLC for Kids Pinterest page. And, since we live in St. Louis, and the Cardinals are in the baseball play offs she had to start a St. Louis Sportsmania Board! Don’t worry the board isn’t just for the Cardinals. If you are a Blues or Rams fan we have you covered too. Stop by and let us know what you think. I came across this blog from North Shore Pediatrics with some great apps for kids, especially kids with Autism. TLC for Kids is proud to be part of the Walk Now for Autism Speaks this Saturday. Stop by our booth and say hello. 123 Token Me– This app is a visual token board that can be used for one child (free version) or unlimited children and unlimited behaviors ($9.99). This app gives you the versatility to choose background color, various token choices, and graphs and visually displays data for you. This is the most motivating token board I have used with my kids because it is interactive. Also, one of the token options shows a picture of the child, which they all love! First Then Visual Schedule HD– This app is 2 applications put into one; it is both a visual schedule and a choice board. It allows you to show the child “first ___, then ____.” with the ability to make choices from a visual field. It also allows you to make more complex, multiple-step, visual schedules. It is a bit on the pricey side at $14.99 but totally worth it if your child struggles to make choices verbally or would benefit from a visual schedule. It is much easier to carry around than a paper schedule or choice board, because you can update it on the fly using the camera function or Google images. Duck Duck Moose, Inc.- (includes Wheels on the Bus, The Itsy Bitsy Spider, Old MacDonald and many more). All of the Duck Duck Moose apps are a big hit with all the kiddos I work with as they are interactive, the characters move, jump and dance, and they all play familiar kid’s songs. The apps range in price from free versions up to $3.99 each. Visual Timer- Search “visual timer” in the app store and choose VisTimerFree or VisTimer ($.99). Both versions show a circle slowly decreasing in the color of your choice, along with various sounds to choose for early warnings and end times. The paid version allows you to set the timer for up to 24 hours, while the free version only allows up to 5 minutes. This app provides a great visual for kids to see the circle decreasing. Once the color is gone, their time is up! Peekaboo Barn– Showcases a barn full of animals that pop out one at a time and make noises. Children can guess which animal is coming next, learn names of the animals and learn animal sounds. The full version is $.99. Dora’s Great Big World– This app is packed with games that focus on school-readiness including literacy, math and science! Boys and girls alike love this game! It runs $2.99 for iPhone and $5.99 for iPad. Thomas and Friends Engine Activity Fun– This free app offers puzzles, coloring pages, and memory games to play featuring all of your favorite Thomas friends! Mr. Potato Head Create and Play– For $2.99 you can customize Mr. Potato Head in over 200 combinations! You can teach children to play functionally or foster their creativity and allow them to make funny faces or put a mouth where his hand should be! TLC Nanny of the Year….Meet Janice! As you may know by now, this year we ran a contest for National Nanny Appreciation Week. We were humbled by all of the wonderful and heartfelt entries we received from our clients. It is very clear that TLC nannies are not only top notch caregivers but are truly valued and appreciated by their employers! As an agency we are lucky to represent such wonderful nannies. You do a great job every day and it’s appreciated! 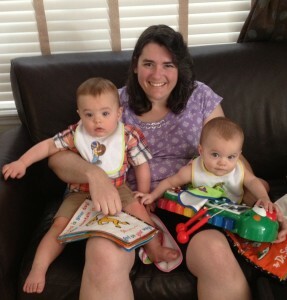 Congratulations Janice and thank you for being such a wonderful nanny to those adorable twins, and thank you to everyone everyone who sent an entry. TLC Nanny Appreciation Week: Meet Kaitlyn! “TLC found our nanny Kaitlyn last year. We previously had a nanny for 10 years so my husband and I knew it would be a tough transition. I called Kaitlyn’s references, and they indicated that she had been working from a young age and had incredible responsibility and maturity for being in her 20’s. Another reference told me they would “hire her in a heartbeat”. I have 3 children, ages 11, 6, and 5. One of my children has special needs; he is on the autism spectrum. He is a wonderfully loving, beautiful boy-I was particularly worried about this transition given his needs. Kaitlyn has really fit in well with our family and our children. For my eldest, she gives a responsible “2nd opinion” on stuff; they play monopoly on days off from school. For my little one, they share a true interest in arts and crafts-they have worked on many projects including jewelry boxes, illustrating books, and painting pictures. Kaitlyn is incredibly creative and this has rubbed off on my little girl. For my child who is on the autism spectrum, she has been a blessing. Her patience and warmth are incredible. If he is having a hard time, she knows how to engage him and be a source of calm. I truly trust her. You can tell when they see each other that they have a real bond. Thank you Kaitlyn for being a great nanny! TLC Nanny Appreciation Week: Meet Janet! Today we want everyone to meet Janet L. Janet’s employers think she is the best. “Our nanny is the best because she, my husband and I are all on the same team when it comes to raising Rowan. Rather than an employer/employee relationship, I think we collectively have a partnership – we respect her as the care giver, and she respects us as the parents. While each of us may have our own ideas from time to time, the mutual respect that we share results in less criticism, better consensus and ultimately better overall care for Rowan (which is the common goal we all share). Thank you Janet for being a great nanny!